The Ground Tour offers a unique opportunity to visit the landmarks of the Silk Road in Turkey, Azerbaijan, Kazakhstan and Kyrgyzstan and through a single package which will take 15 days. The tourists who will experience this tour will make an adventurous journey throughout the history by visiting caravanserais, palaces as well as other historical and cultural monuments located along this traditional and deep-rooted road. 2 pm onwards: check in to our hotel in Sultanahmet and free time at the hotel. After breakfast at the hotel we will meet our guide in the lobby before departing for a walking tour of Sultanahmet. 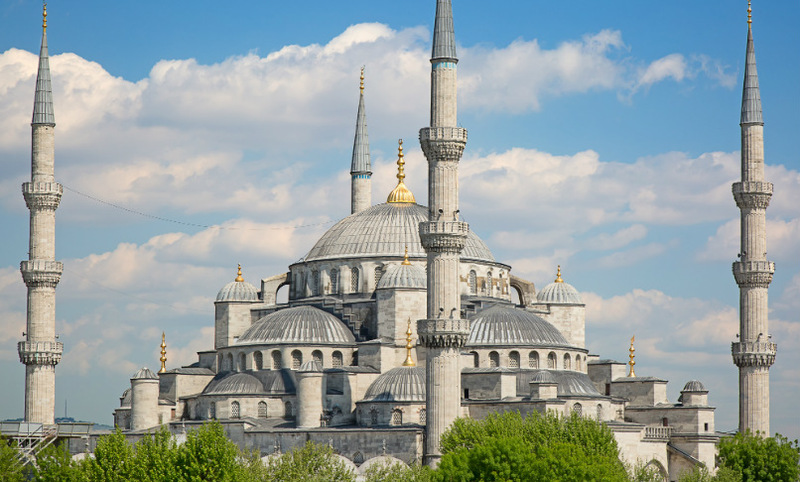 We will visit Sultanahmet Mosque (due to Friday prayers we will not be able to enter the mosque), Yerebatan Underground Cisterns and the Hagia Sophia Museum. After lunch at the traditional Turkish restaurant Köfteci Selim Usta we will walk to the Spice (or Egyptian) Bazaar and the Grand Bazaar. We round the day off with a boat tour on the Bosphorus and return to the hotel by around 6 pm, where we will have free time before dinner in the hotel. After breakfast at the hotel we depart for Istanbul Atatürk Airport for our Turkish Airlines flight to Konya. On arrival in Konya, we will take a bus tour around some of the city’s most important sights from the Seljuk Empire era, including the Karatay Madrasa (museum), Ince Minaret Madrasa (museum) and Mevlana Museum, where we will see the Tomb of Mevlânâ Celâleddîn-i Rûmî, the famous Sufi poet. After lunch at Cemo Restaurant, we will check in to our hotel around 2 pm and have the rest of the afternoon free. At around 7 pm we will take a short bus trip to the Mevlana Culture Center, where we will watch a Mevlevi Sema Whirling Dervish show. Afterwards we return to the hotel for dinner. After breakfast we check out from our hotel in Konya and depart by bus to Sultanhanı Caravanserai, where we will visit the Carpet Repair Workshop Atelier and Aksaray. Lunch will be at the caravanserai or Aksaray Orhan Ağaçlı Station. After lunch we transfer to Kaymaklı Underground City, where will have a guided tour. We will then check in to our hotel, where we will have an hour or two to rest before departing for dinner at a local restaurant. Today there is an early morning balloon ride (optional and extra) over Cappadocia before breakfast at the hotel. We then check out before visiting the Göreme Open Air Museum, Paşabağı and Devrent Valley. Lunch is at Hanedan Restaurant in a historic caravanserai. Afterwards we visit the Hacı Bektaşı Veli Museum before driving to Kayseri for a visit to the Gevher Nesibe Museum of Medical History. After a bus tour of the city we depart for Kayseri airport for our evening flight to Istanbul Atatürk Airport on Turkish Airlines. We will wait in the international departures lounge before boarding our early morning flight to Ganja, Azerbaijan. On arrival in Ganja airport we will meet our guide and depart for our hotel in Ganja. After resting we depart at midday to drive to the city of Naftalan to explore the Naftalan oil baths, stopping on the way to look at the Nizami Shrine. After lunch and a tour of the oil baths at a spa hotel in Naftalan, we visit the Imamzadeh Mosque before making our way back to Ganja for a city tour, visiting the Sheikh Bahauddin Complex (comprising a caravanserai, Shah Abbas mosque and medieval baths), the Shrine of the last Khan of Ganja “Javad Khans” and the museum of Mahsati Ganjavi. Dinner will be at the Ganja Entertainment Center, accompanied by national songs and dancing. After dinner we will transfer to our hotel. After breakfast at the hotel in Ganja we depart for Sheki, where we will visit the Old Palace of the Sheki Khans. The palaces have been nominated for UNESCO World Heritage status. We will also visit the Sheki Caravanserai and see the Shebeke artisan workshop, where they make stained-glass windows. After lunch we visit a local silk production studio, where we will have the opportunity to see how the silk is made. Afterwards, we drive to the village of Kish (Kiş) to look at the first Albanian Church. After checking in to our hotel we will have a tour of Sheki and dinner at the Khan Chelebi restaurant, accompanied by national songs and dancing before returning to our hotel. After breakfast we depart for Qobustan, where we will have a tour of the petroglyphs (ancient rock engravings from the Upper Paleolithic period, 35000-34000 BC) in the Beyukdash and Kichikdash Mountains. Afterwards, we will drive to Baku to have lunch at Ciz-Biz restaurant in the Old City. After lunch we will take a walking tour of the Old City, including the Shirvanshah Palace, historic mosques and bathhouses, the Market Square, the caravanserais Multani and Bukhara and the Maiden Tower. We will then visit “Atashgah”, the Temple of Eternal Fire, and the Yanar Dag burning mountain and have dinner at the museum restaurant Shirvanshah, accompanied by live traditional music. 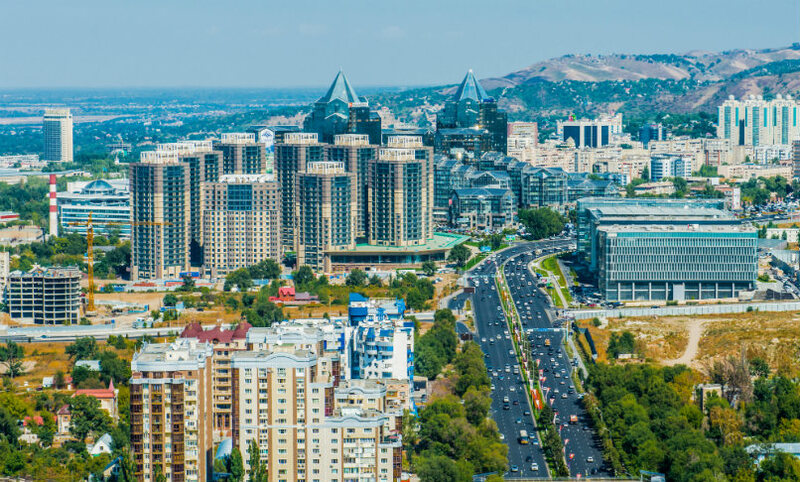 The next morning after breakfast, we check out from our hotel and transfer to Baku’s Heydar Aliyev International Airport for our afternoon flight to Almaty, Kazakhstan, with Air Astana. On arrival at Almaty International Airport we will meet our guide and transfer to the Alasha Oriental cuisine national restaurant for dinner. After dinner we drive to our hotel. After breakfast at the hotel in Almaty we drive to the Almarasan Ridge to watch a spectacular performance of the Hunting Birds Show and learn about birds of prey such as falcons and eagles. We will then visit the Central Museum in Almaty before driving to Kok Tobe Mountain just outside the city centre. After lunch on the mountain at Restaurant Abai we will visit the National Museum of Musical instruments and the Kok Bazaar in Almaty. We will have dinner at a local restaurant before departing by overnight train to Turkistan. On arrival in Turkistan we depart for our hotel to have breakfast. Afterwards we will visit the Museum of History, Mausoleum of Khoja Akhmet Yassawi, Mausoleum of Rabiga Sultan Begim, ethno-museum Kyluet and medieval baths, with time to shop for souvenirs. 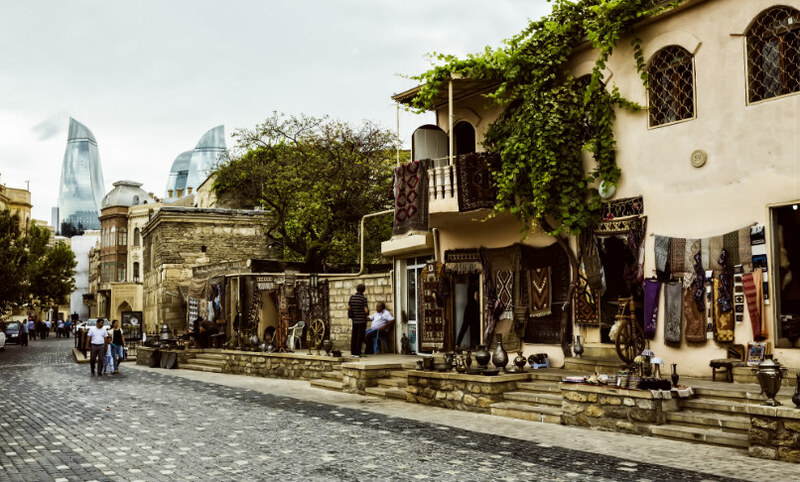 After lunch, we will drive to the historic city of Otrar, before moving on to the “ethno village” Alasha, where we will be able to watch traditional demonstrations and take part workshops. After dinner in a “yurt” (a traditional tent used by Turkic peoples) we will transfer to Shymkent by bus and check in to our hotel. After breakfast at the hotel in Shymkent we depart for Taraz, en route visiting the Mausoleums of Aisha Bibi and Babaji Khatun from the 11th and 12th centuries. In Taraz we will visit the historical complex Kone Taraz and the Tortkul caravanserai. After a bus tour of the city we will have lunch at a local restaurant and then drive 340 kilometres to the Kordai customs and immigration checkpoint on the Kazakh-Kyrgyz border before crossing into Kyrgyzstan. After completing passport control at the Kyrgyz-Kazakh Ak-Zhol border crossing we will meet our guide and transfer to the capital city Bishkek by bus. After dinner at a local restaurant we will check in to our hotel. After breakfast we depart from Bishkek to visit the 11th century Burana Tower located in the medieval town of Balasagun, the capital of Karakhanid State. Afterwards, we will watch traditional horse games and then drive for around 2.5 hours to Kochkor village. We will have lunch in the village and afterwards watch a carpet-making demonstration, with an opportunity to participate. We then leave Kochkor for a 2.5 hour drive to Naryn, where we will check in to the yurt (traditional Turkic tent) camp. We will have dinner at the camp and spend the night in a yurt to experience the nomadic way of life. After breakfast in the yurt camp we depart for Tash Rabat, a well-preserved 15th century stone caravanserai and one of the most important sites on the Silk Road. Afterwards we drive for approximately four hours to the resort town of Cholpon-Ata in the Issyk Kul region, with lunch en route. In Cholpon-Ata we will have a sunset cruise on Issyk Kul Lake, the second-largest saline lake after the Caspian Sea. Afterwards we will check in to our hotel in Cholpon-Ata where we will have dinner. After breakfast and check out from the hotel in Cholpon-Ata we will visit the Petroglyphs Open Air Museum and Rukh Ordo Cultural Center. After lunch, we will drive for around 4.5 hours back to Bishkek, where we will have a bus tour of the city. A farewell dinner with a traditional music performance will be held at a local restaurant. 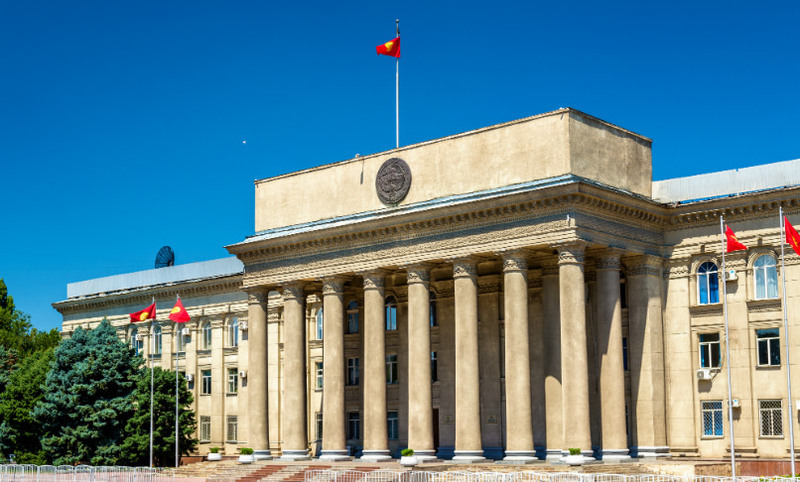 We will then check in to a hotel in Bishkek where we can rest for a few hours before our departure to Bishkek's Manas International Airport for our return flight in the early morning. Modern Silk Road Joint Tour ends.